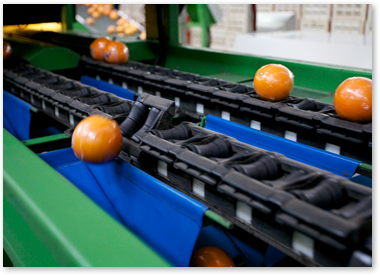 Traceability rules in Spain have caused companies of horticultural sector advance in information technology. In Ecoribera S.L., we have implemented a tracking system that allows control and monitoring of the products until they reach the stores, which offers us competitive advantages in food safety comparated to the rest of the market in this sector. The technical department controls the fruit through different analyses to ensure the provision of a safe product. This traceability system introduced along the production line starts in the fields and ends when our products reach their final destination: the stores. Here is where the customer can access a fresh, safe and high quality fruit.